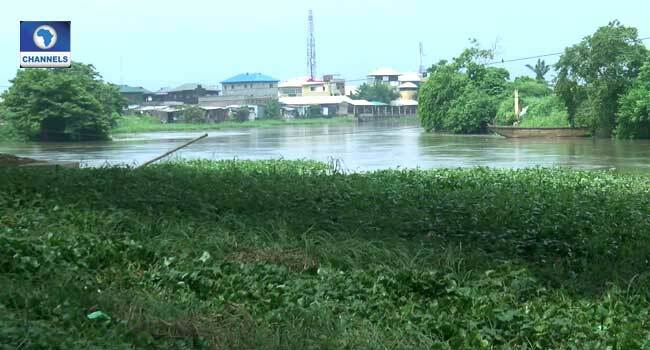 A part of the popular Ogun River which flows under the Kara Bridge around Ojodu Berger area of Lagos State has suddenly gone dry. 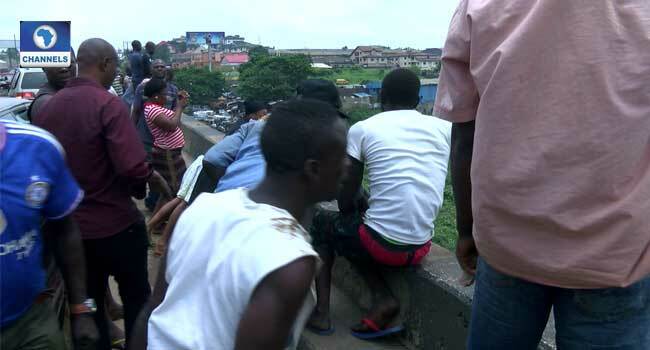 The Kara cattle market community under the bridge along the Lagos-Ibadan expressway has become a Mecca of some sort with residents of the community and passers-by trooping to see the dried section of the river which once provided water for the Kara cattle and ram market. 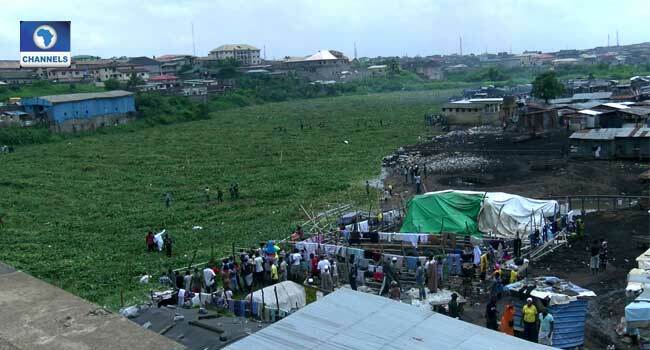 There were initial suspicion that this could be water hyacinth but the surface of what used to be the flowing river had become a firm ground. 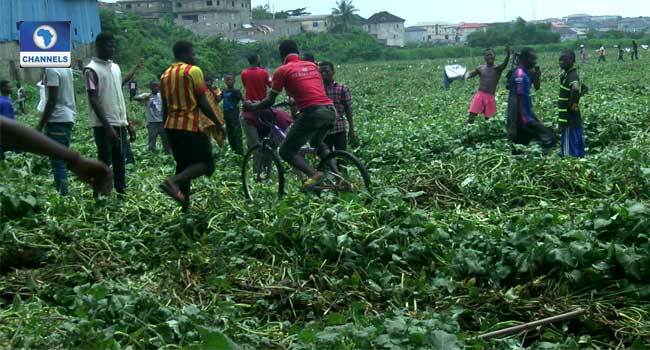 Some people were seen testing the solidity of the green that has taken over the waterway by walking across the river and some found it a readymade recreation ground. Surprisingly, on the other side of the Kara Bridge, the river was seen flowing freely. 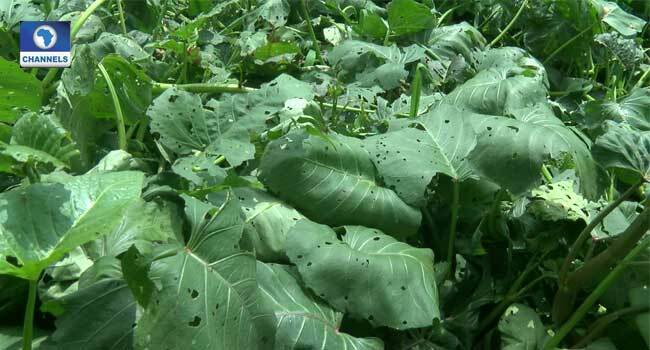 Environmentalists have, however, warned that residents keep off the blocked channel for the risks of it opening up unexpectedly and advised relevant authorities find a means of clearing the plants.